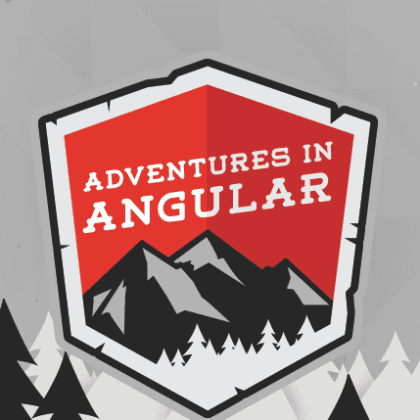 This week on My Angular Story, Charles speaks with Joel Tanzi who is a software engineer who currently resides in the Kansas City, Missouri metropolis. He has a degree from KU in computer engineering. They discuss how Joel made a career change in his mid-thirties and hasn’t looked back since! Listen to today’s episode to hear more about Joel’s background and current projects! 0:51 – Chuck: I am talking with Joel – introduce yourself, please! 1:00 – Joel: I am an Angular developer on the front end. I am employed with a company and working on a new app that has to do with security. I am building the front end to that product. I was studying computer engineering at KU, and Angular is my favorite. 2:00 – Chuck: How did you get into programming? 6:54 – Joel: Good question! I was fairly new to that job. People already had exposure to it throughout the team/team members. 7:57 – Chuck: How was your transition from Angular 1 to Angular 2? 8:04 – Joel: I was never married to it. I do think that Angular 2 was a major step-up for me and was an important change that needed to happen. It was based on the same concepts. 8:39 – Chuck: What work in Angular are you most proud of? 8:42 – Joel: I think the application I am working on now b/c it looks THE best! Among other things, too. I volunteer through an organization that puts together tech projects for local governments. I got involved with them b/c I wanted more real world experience. It revolves around city streetlights. 11:03 – Chuck: Yeah, Code for America I’ve heard before! Sounds neat! 11:18 – Joel: I would recommend it especially if you are trying to break-into the field. I think community outreach is honorable and it shows initiative. 12:23 – Joel: I have met coders within this realm and it’s a great networking opportunity! 12:35 – Chuck: What are you working on now? 12:37 – Joel: WordPress development! 13:46 – Joel (continues): Most lawyers don’t have a website b/c they don’t want to dabble with the technology. 13:59 – Chuck: Cool! I think it’s important to note that your 1st degree was literature and you went back to school. For my mom she went back, too. Were you older than the other students? 14:35 – Joel: I have a lot of things that went my way, which I was very blessed. The law firm that I worked for they had a huge support for people getting their degrees. They also gave me the flex hours, too! I am glad that I had that set-up and I know I was extremely blessed to have that support. It’s hard for people to work fulltime and to go to school – it’s definitely a challenge! I am stoked about veterans getting into the coder field and people with diverse backgrounds into this field; it’s very neat! 18:23 – Chuck: How old were you when you made that career change? 18:36 – Joel: In my mid/late thirties! 18:39 – Chuck: People think that they CAN’T go back to school b/c they are too “old” – when that’s not the case! I encourage people to give it a shot. 19:33 – Joel: There is never a better time to get into this work than now. 20:39 – Chuck: Where can people find you online? 20:45 – Joel: At my website – Stringly Typed! My LinkedIn!